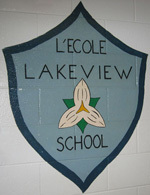 Lakeview School Council is made up of parents who are interested in getting involved at Lakeview and helping enrich the lives of students through special events, extra-curricular activities, the support of school and Board initiatives, and funding for school sports and academic programs. School Council is also responsible for providing a forum for parents to share their opinions and make recommendations known to the school administration. The School Council meets on the first Tuesday of each month of the school year at 6:45 pm in the Lakeview School library. Meetings are open to all Lakeview parents. September 18, 2018 | October 2, 2018 | November 6, 2018 | December 4, 2018 | January 8, 2019 | February 5, 2019 | March 5, 2019 | April 2, 2019 | May 7, 2019 | June 4, 2019 Read council minutes. The Chair of the School Council acts as the official spokesperson of the School Council. He or she may attend the Trustee’s Inter-school meetings and communicates with the Principal on a regular basis. He or she chairs the monthly meetings, and prepares the agenda for each meeting in advance. The Chair updates the Principal Profile on an annual basis, writes the annual report at the end of the year, and ensures that all other Council documents are kept up to date. The Chair may participate in regular communication with the chairs of the various sub-committees of council. The Chair may be a signing officer for Council. The Secretary of the Council is responsible for maintaining a full and accurate accounting of all School Council meetings through the taking of minutes. In conjunction with the Chair, he or she ensures the adequate notice of meetings and sets the meeting schedule for the school year. After each meeting, the Secretary distributes the minutes to all council members by email, to solicit feedback and edits. The Treasurer ensures safekeeping of the School Council finances in accordance with the policies and procedures of the OCDSB and provides accounting thereof, as required, to the Board and the Council. The role of the Treasurer is to set up and maintain a detailed record of all income and expenses along with accompanying receipts ad invoices; to check the accuracy and consistency of monthly bank statements; and to report monthly to School Council on fundraising and other revenues and expenditures. The Treasurer deposits all incoming cheques and signs all outgoing cheques. The Treasurer is a signing officer for the Council. The fundraising coordinator coordinates fundraising campaign activities, researches possible fundraisers, proposes schedules for campaigns throughout the school year, and reserves or confirms participation with the chosen fundraising companies. The coordinator also provides general support and information to the individual campaign organizers and volunteers to run the various campaigns. Tracking information such as percent participation, net proceeds versus volunteer time, and ease of running the campaign help Council to decide on whether to run the campaign again. The Hot Lunches Coordinator updates the hot lunch program flyers, inputs and manages the online ordering system, and manages any issues/changes to the online orders. The Pizza Day Coordinator interfaces with the pizza company to make sure the program runs smoothly and coordinates with the Hot Lunches Coordinator regarding order information. The coordinator organizes parent volunteers to be on site for the pizza delivery and to distribute the pizza to students. The OCASC representatives represent School Council at OCASC meetings and raise issues on behalf of the School Council. They then report to School Council at each council meeting and keep School Council members up to date on pertinent issues. The OCASC meetings often feature a guest speaker who talks about issues affecting all schools in the Ottawa area, and allows the representatives from Lakeview to meet and interface with other schools in the area. Parent Representatives commit to attending at least 50% of School Council meetings to provide input on how council funds should be distributed. They have a vote in determining how the council should spend its budget. Parent Representatives also often step in to volunteer and help plan various special events during the year. The council also has two voting positions for staff members, one for a teacher, and one for a non-teaching staff member. The principal also attends School Council meetings but is a non-voting member of council. The Community Representatives represent the Lakeview community’s perspective and help build partnerships and links between the school and the community. They contribute to school and school council discussions, participate on council committees, and encourage parents/guardians and community members to participate in events and programs.